November 21, 2016 By Allyson Leave a Comment This post may contain affiliate links. Read my disclosure policy. 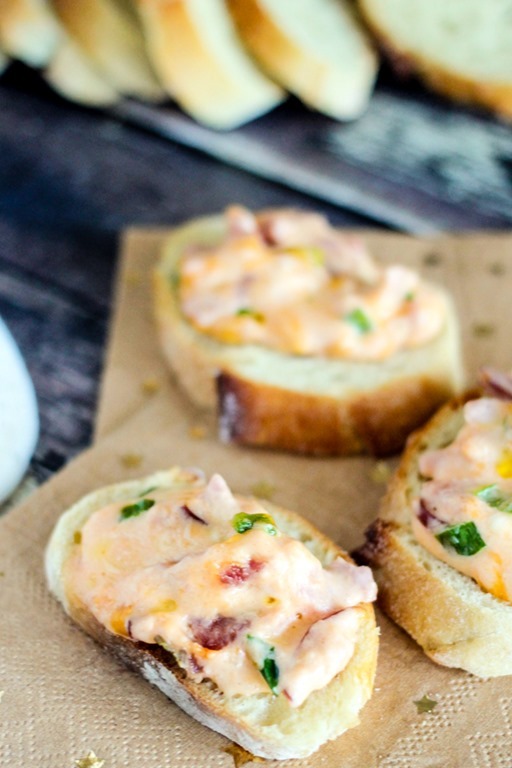 Easy Ham and Cheese Dip only takes 20 minutes to make and is the most delicious party appetizer! This is a sponsored conversation written by me on behalf of NatureRaised Farms.The opinions and text are all mine. Now that the holidays are rolling around, I have been looking for some great recipes to serve during parties and events. Coming up with ideas that are easy and delicious are always important, because no one wants to slave over a stove before they have a big party! 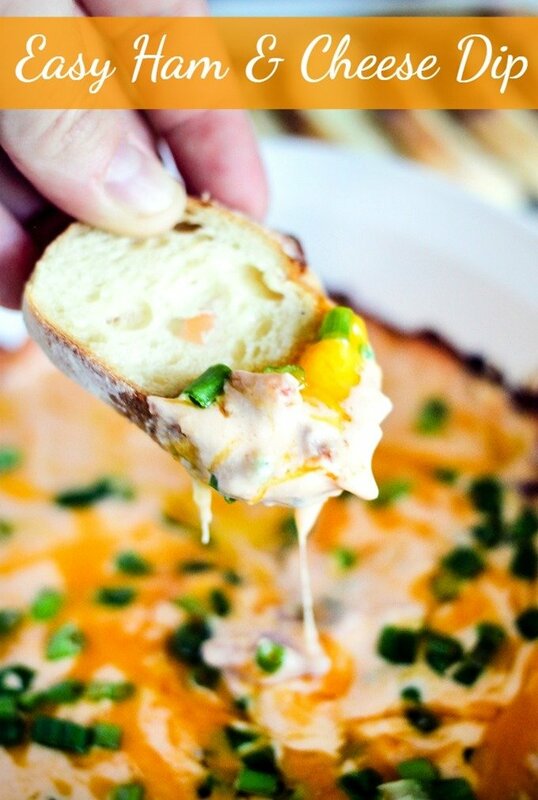 This Easy Ham & Cheese Dip is the perfect simple recipe to serve at your upcoming holiday party! 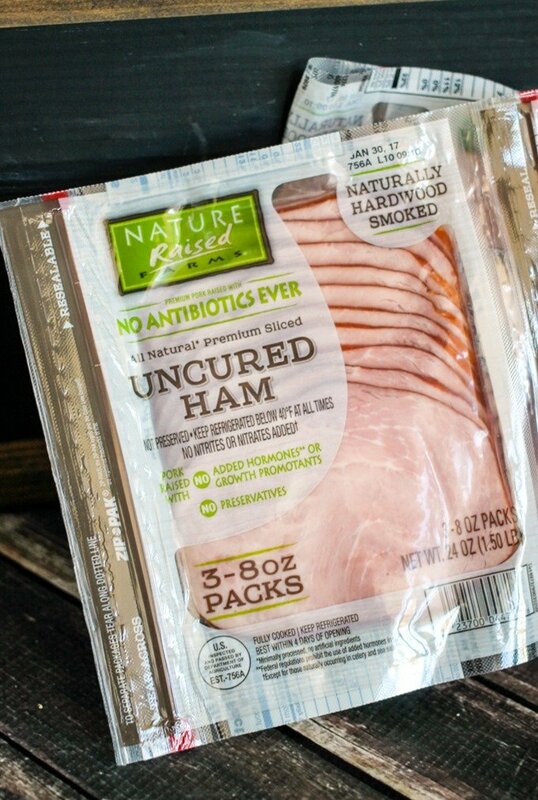 I headed to Sam’s Club and picked up their Nature and Raised Farms Ham which has no antibiotics, no added hormones, and no growth promotants. It’s a product you can feel good about buying. I like that it comes pre-sliced, so there are many options for use. You can find it in their deli cooler. 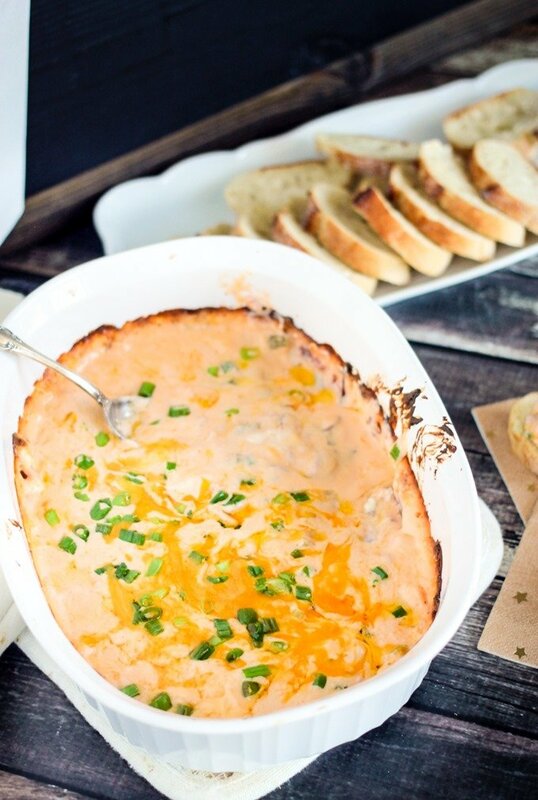 This Ham and Cheese Dip is so simple, you throw all the ingredients together, mix them up, and then pop the dish into the oven and bake it until everything is ooey gooey delicious! I love making recipes where I can save so much time, because then I can focus on other things around the holidays. I’ve made a conscious effort to only work during ‘work’ hours, and to be present with my family during the other times. That way the time we spend together is actually quality time, not ‘I’m not really paying attention to you because I am doing a million things,’ time. It’s a struggle, and the struggle is real. 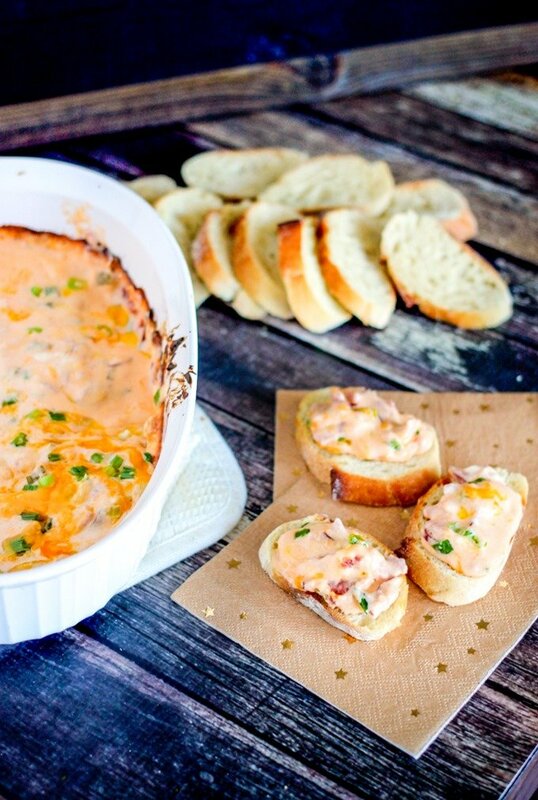 By saving and making recipes like this Easy Ham and Cheese Dip, you save time and in turn have more time to spend with the people who matter. 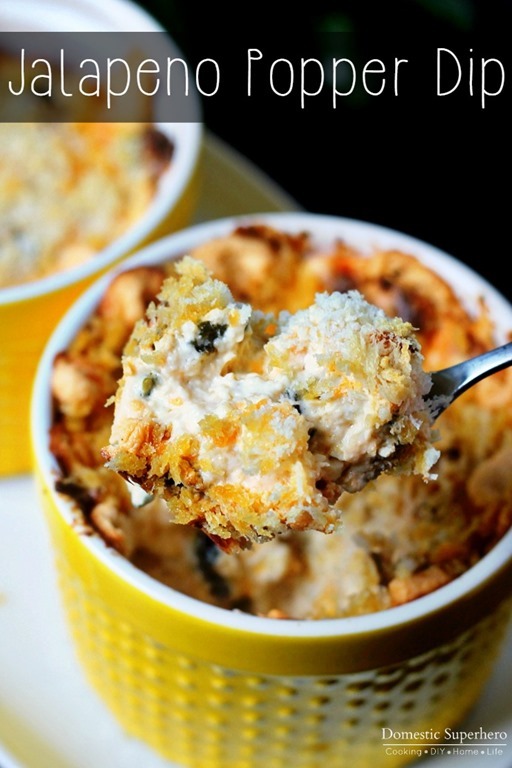 In a large bowl, add the cream cheese, cheddar cheese, and swiss cheese. Microwave it for 20 seconds, then mix to combine. Add the ham, cayenne pepper, black pepper, and salt; mix to combine. Pour into a shallow baking dish, and spread into an even layer. 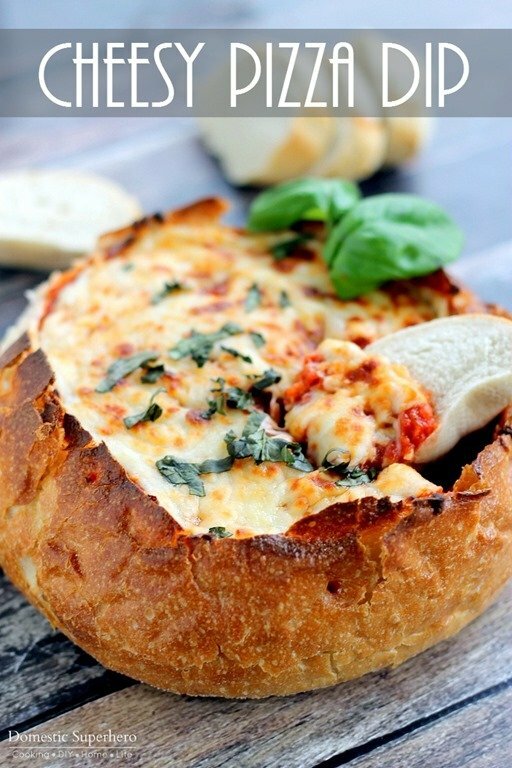 Place in the center of the oven, and bake for about 8-10 minutes, or until melted ad bubbling. Turn oven to broil, and broil for about 2-3 minutes, or until you have a nice browning on the top. Remove from oven, add chopped green onions to the top. Serve with baguette slices, crackers, or vegetable sticks. I highly recommend shredding your own cheese - it melts way better and is generally better for cooking. NatureRaised Farms Ham is brand new to Sam’s Club stores, and although some locations don’t have it, make sure to keep an eye out for it. You can go to www.EatGoodCleanFun.com to check where to pick it up! Also, there is a fun contest going on right now! YOU can go to your local Sam’s Club, purchase the Nature and Raised Farm Ham between November 1, 2016 – December 31, 2016, and then share with me what recipe idea you have for the product! You can enter for a chance to win a $50 Sam’s Club Gift Card. You can send me a message with a photo of your recipe as well as a picture of the product you purchased! I can’t wait to see all your ideas! 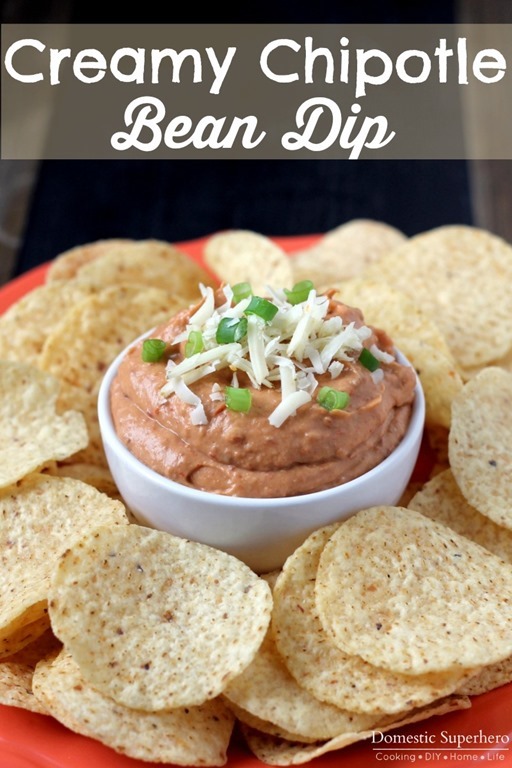 For more delicious dips from Domestic Superhero, check these out! 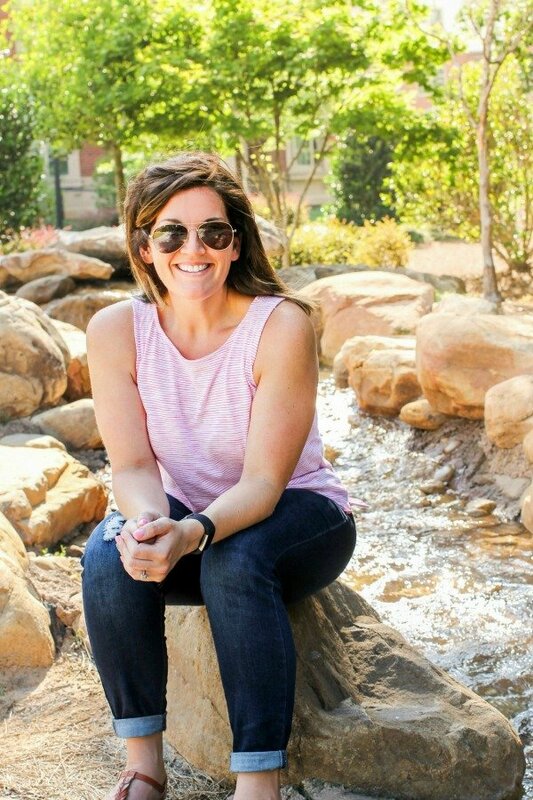 This is a sponsored conversation written by me on behalf of Tyson Foods NatureRaised Farm. The opinions and text are all mine.